I had such fun making these desk stands using the gorgeous Eastern Opulence paperstack from Docrafts Papermania. I used it with my Stampin' Up! staples of extra thick whisper white card stock and dies as well as a sentiment from the amazing Beautiful You stamp set which I really need to use more than I do. These can be varied in size as well as in what you include on them, I try to show a few different styles in the video tutorial to give some ideas and more inspiration. They make an amazing gift or a great craft fayre item as they're so eye catching and can be easily flattened and transported. Thanks for dropping in for my 3D Wednesday project. I'm Andrea an Independent Stampin' Up! 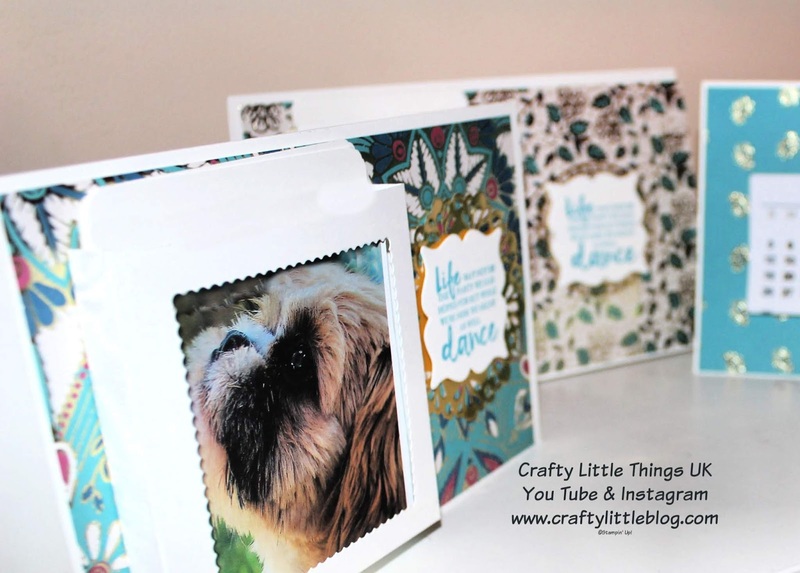 demonstrator and owner of Crafty Little Things. I'm a mother of two adult children and two cute little Shihtzus called Vernon and Lily.